When her missing boyfriend is found murdered, his body encased in cement inside a watering trough and dumped in a cattle field, a local sheriff's deputy is arrested and charged with his murder. But as New York Times best-selling author and investigative journalist M. William Phelps digs in, the truth leads to questions about her guilt. 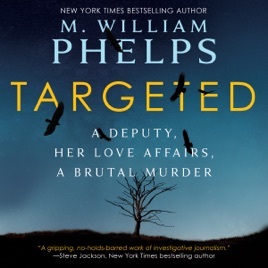 In his first full-length, original true-crime audiobook for WildBlue Press, Phelps delivers a hard-hitting, unique experience, immersing listeners in the life of the first female deputy in Oglethorpe County, Georgia, who claims a sexual harassment suit she filed against the sheriff led to a murder charge. Is Tracy Fortson guilty or innocent? Listen and decide.